A wonderful reader of mine, Buck (deceased for some time now, unfortunately), once left a comment saying he had a sense of deja vu concerning a post of mine. He was, as was often the case, being wry. He knew damn well he had seen it before. And I admitted as much in my reply to his comment. I mention this because today's post is also (as a used car dealer might phrase it) pre-read. 1 - They are Christmas and/or holiday stories/reminiscences that received good reactions the first time around, so why not trot them out on stage for an encore? Of course, if you haven't read any of them before, they're just the same as brand new to YOU. Also, if you smack yourself over the head with a frying pan enough times you'll forget you saw them before, so why not go do that? I'm fairly sure that sort of thing will make anything I write seem more coherent, anyway. Enough blather. Here comes the old stuff! First things first: This is a story about an Irish family. While my name is Jim, and I’m an uncle, I also have an Uncle Jim of my own. There is an Uncle Jim mentioned in this story, but he’s not that Uncle Jim, although that Uncle Jim is the one who told me this tale of the other Uncle Jim. Actually, he’s Uncle Jim’s Uncle Jim, making him my Grand Uncle Jim (and some folks prefer the title 'Great Uncle', but let’s not open that can of worms.) It’s very confusing to the uninitiated, I suppose, so if it will keep you from getting a headache, feel free to think of the main character herein as Uncle Aloysius. Anyway, when my father was very young – five or six - his Uncle Jim taught him a very valuable lesson. My father had hung his stocking on Christmas Eve, as did all of the family. 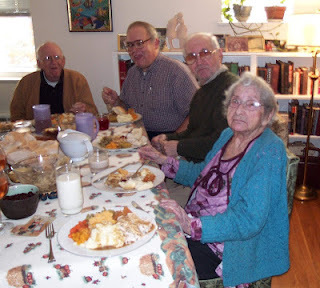 This included the older relatives, and that group included his Uncle Jim. 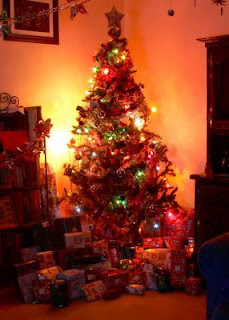 Come Christmas morning, everybody took down their stockings and looked inside to see what Santa Claus had brought them. The usual things were found inside the stockings - little toys, tasty candies, and other such trifles. Nice, of course, but nothing unusual. That is, until Uncle Jim inspected the contents of his stocking. He turned it upside down, and out rolled a lump of coal and an onion. While good little boys and girls receive toys and candies, a lump of coal and an onion are, by tradition, what bad boys and girls receive. Seeing those things come from Uncle Jim’s stocking, my father laughed and laughed. Uncle Jim was a bad boy! He got a lump of coal and an onion! While my father was laughing, Uncle Jim said, "Oh! This is wonderful! A lump of coal and an onion? These are just what I needed!" My father thought his Uncle Jim had gone round the bend. How could someone be happy to have received a lump of coal and an onion in his Christmas stocking? Uncle Jim picked up the lump of coal, then took my father’s hand and led him to the basement. They stopped at the furnace. Uncle Jim said, "It’s so cold today, this lump of coal is the perfect gift. I can put it in the furnace and we’ll be nice and warm all day!" Uncle Jim then led my amazed father back upstairs. They returned to the family parlor, where Uncle Jim now picked up his Christmas onion. He led my father into the kitchen. While my father sat and watched, Uncle Jim chopped up the onion, and then mixed it with celery, bread, and spices. During all of this, he went on rapturously about how his stuffing for the turkey would have been no good whatsoever without an onion. It doesn’t matter what you’re given. It’s what you do with it that matters. a sudden, passing sensation of excitement; a shudder of emotion; thrill. My favorite day of the year is Thanksgiving. I like all holidays. Any day off from work, or during which people come together to celebrate, or when you get (or give) gifts, is a good day. Some days, however, are more special than others. Christmas used to be my favorite. When I was a kid, I went straight from one frisson to another during the week leading up to Christmas. The celebration of Christ’s birth was magical and there was no end to the ways that the world delighted me. As I’ve grown older, that magic has ebbed. I haven’t changed, though; it’s the world that has. When I was a child, nearly every house in the neighborhood sported pastel lights of red, yellow, green, blue and orange, either as decoration outside or via a candle or two in the windows. The streets were bathed in an embracing warmth, a welcoming glow. Nowadays, the lights of choice are mostly cold; icicles and clear starbursts. I guess a lot of folks like them – otherwise, why would they have them? - but all they do for me is make the night streets too much like daytime. Those bright white lights don’t do anything but remind me of how cold it is in winter. The colorful lights of my childhood made me feel warm inside, even during the meanest of snowstorms outside. I love Christmas music. I always have. Every year of my youth, I looked forward to it beginning, sporadically, after Thanksgiving, then building bit by bit until there was an entire glorious day and night of it from Christmas Eve through to Christmas Night. It then played on the radio all day, but only all day on Christmas and most of the day before. In the morning, while opening presents with my Mom and Dad, we played the two or three vinyl Christmas records we had at home. It was rare and therefore special. Now the trouble is in trying to avoid it. Some radio stations start playing it 24 hours a day in October. Walk into any store and it's possible you'll be assaulted with it before Veterans Day. Seriously - and I mean this - if you like that sort of thing, God bless you. To me, though, Christmas music is like chocolate. A few pieces, rich and creamy, are delightful. Feed it to me non-stop for sixty days? All that is, is a sick stomach. The final nail in my Christmas coffin is driven in by the greedy merchants who don't wait for Thanksgiving to be over before they start spewing forth their hideous advertisements. 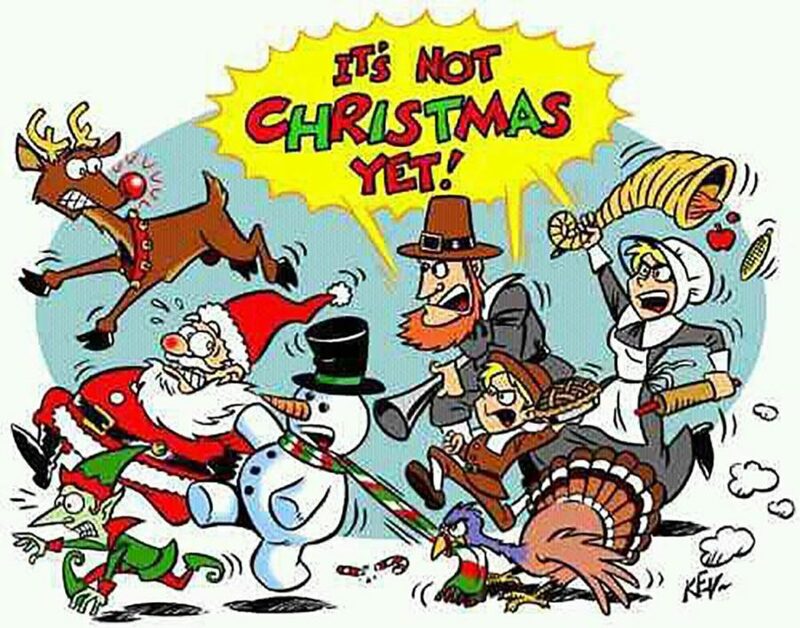 I rail against it every year on my Facebook page, Thanksgiving Comes First. MY WIFE tells me to relax, that I can’t change it, that there really isn’t anything all that bad about it. I love MY WIFE dearly, but on that score she’s dead wrong. I’ll go to my grave cursing the theft of innocent joy from a lovely day. I try to ignore it, and I try to keep the spirit I believe in, but they keep throwing haymakers at me and a few do connect. I keep getting up off the canvas, but it isn't easy. Some reprehensible stores have taken to opening on Thanksgiving Day itself rather than having the decency to wait until so-called Black Friday, denying their employees a well-deserved holiday. The people running these companies have no soul. Christmas still has charm. The real importance of it, for someone like me, is spiritual, and nobody can rip that out of me unless I let them. The people I share the day with, and with whom I eat good food and exchange lovely and loving gifts, are dear to me. They still make it a wonderful day, but that frisson I spoke of earlier, that I used to have in multiples during the season, hasn’t been felt in quite a while. 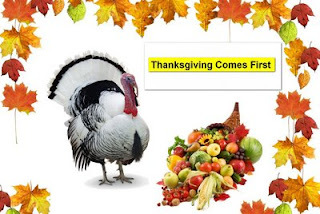 The only holiday I can count upon to deliver a frisson is Thanksgiving. I've never had a bad Thanksgiving. As a matter of fact, I’ve had nothing but good ones. For every other holiday, I can recall a bummer. 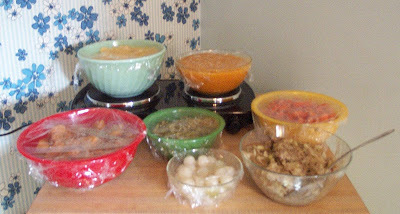 There have been New Years Eves with toothaches and New Years Days with hangovers; Washington’s Birthdays with flu; Memorial Days with sunburns; July Fourths with car accidents; Labor Days with the dread of returning to school; Halloweens with stolen candy; and even Christmases with “Dear John” letters thrown into the mix; but never a bad Thanksgiving. 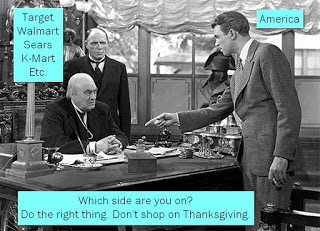 One of the reasons it’s so easy to have a good Thanksgiving is that nobody’s trying to sell you anything. It’s just good company, some football, great food, and maybe a nap with your belt loosened. The biggest thing anyone can put up for sale is a bird. There are no bogus guilt trips laid on you by manufacturers trying to make you feel as though you haven’t done right by your loved ones. All you have to do, to do right by your loved ones on Thanksgiving, is show up. Oh, the smells of Thanksgiving dinner cooking! There is no perfume in existence that matches the fragrance of turkey, stuffing, gravy, squash, turnip, sweet potatoes, hot rolls, pumpkin pie, and all of the other mouth-watering aromas that emanate from the kitchen on that day. It is the smell of pure love. The one doing the cooking isn’t doing it because he or she is guilt-ridden. It’s being done because the people who will eat the feast are near and dear; as simple and lovely as that. 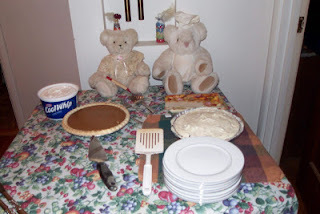 MY WIFE and I have hosted Thanksgiving at our place for the past 20+ years. It is the most sublime pleasure of my year to plan that meal and then prepare it. I’m the luckiest man in my family. I get to enjoy those smells longer than anyone else. And I get the lion’s share of the leftovers, too. I remember lovely huge tables full of food at my paternal grandparent’s apartment in Roslindale, the vegetables served in great green ceramic bowls and topped with big pats of yummy sweet butter. I remember other times of waking in my upstairs bedroom to the smell of a turkey roasting in my childhood home in Dorchester. 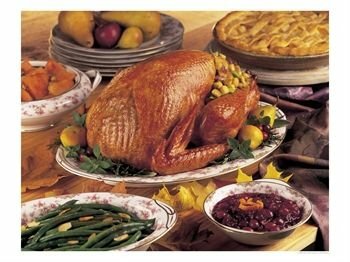 Later, after my parent’s divorce, I ate TWO huge dinners every Thanksgiving – the first cooked by My Father and the second served at My Grandma’s in Weymouth, where I would eat with My Mother. It wasn’t easy but, since I loved both of them too much to disappoint either of them, I did my duty. I even ate a couple of pieces of pie at both places so they’d have no doubt about how much I loved them. 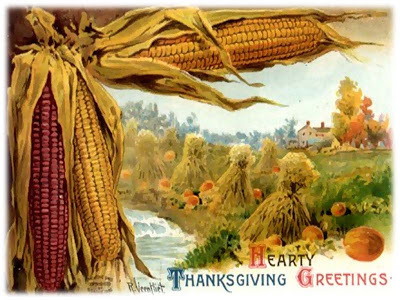 I try to remember what the name of the holiday calls for – the giving of thanks. I look upon my preparation and sharing of food as a sacred rite. There’s no skimping on this meal. If money’s tight, it’s a way of showing my faith in the idea that God will bring better times. Always, it’s a time to be thankful for the good people who are sharing the table with me, and also for remembering those dear souls who shared the table in past times but, for whatever reason, are no longer gathered here. There are lovely constants at Thanksgiving. For instance, every year the Detroit Lions play football. Well, at least they try and they ought to get credit for that. The same stories sometimes get told at the table. There's one that never fails to get mentioned, concerning turnip and a Danish friend of the family. Seems that one year, when this Dane was a holiday guest, my grandmother was preparing the food and one of the vegetables was turnip. The fellow laughed and said, in his Danish accent, “Turnip! Ha-ha! Very funny!” and when he was asked why he was laughing, he said, “Ho-ho! Yes, the joke’s on me! That’s a very funny joke. OK, you can take it away now.” Apparently, they only served turnip to pigs in his region of Denmark. He thought it was a joke for his benefit. When he found out it was something we actually ate and enjoyed, he became somewhat indignant (if not sick to his stomach.) Every year, when I bring out the turnip, that story returns for it’s annual telling. And I love it. When the meal is over – well, at least that part of the meal which doesn’t involve pie – I turn my attention to the end of the Lion’s game. Meanwhile, the other folks have good conversation, coffee, tea and, yes, pie. I'm a New England Patriots fan, but I root for the Lions on Thanksgiving (unless they're playing the Patriots, of course.) If the Lions win, I have a piece of pie to celebrate their good fortune. Since this rarely happens, I console myself with a piece of pie when they lose. It’s all good. The playing of some sort of board game is generally part of the after-dinner fun. Conversation is friendly and relaxed. Football is in the background on the TV. The desserts remain on the table for anyone who wants a bite more of anything. I wish you a Tremendously Happy Thanksgiving. 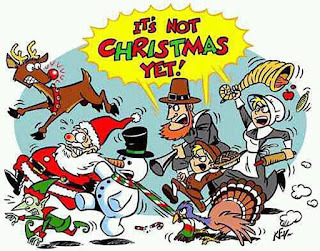 Say your prayers, eat much, show love, enjoy the friends and relatives, and do yourself a favor by remembering that the stores will be open for another 32 days this year, after Thanksgiving and before Christmas, so no need to hurry.